I will never forget the day I met Armando and Laura because they came into my office with such excitement. Honestly, the treatment was celebrity-like and it made my heart super happy. 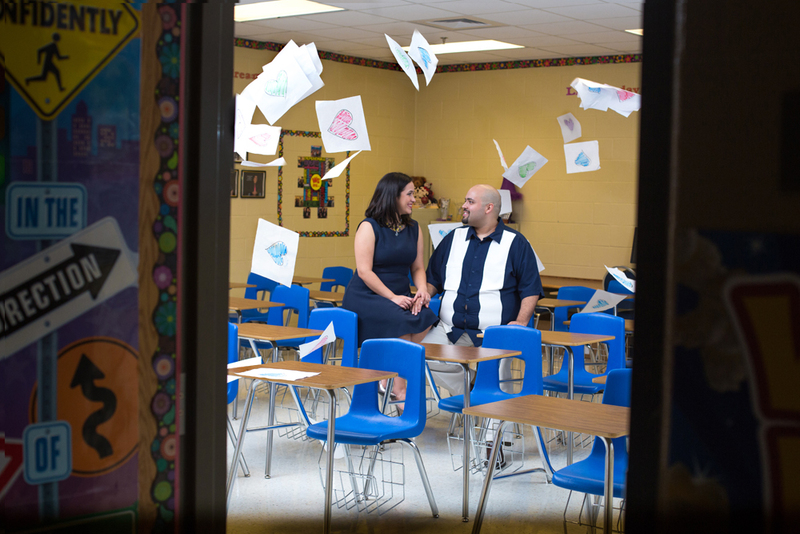 These junior high sweet hearts requested a special engagement session. 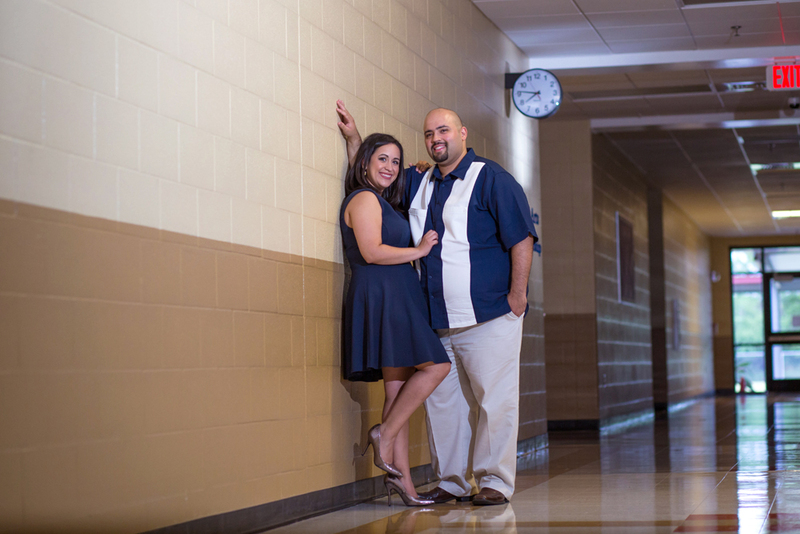 Because they met at work and are so passionate about their careers, we felt we just had to plan the session on their school campus to express their story further. The one question I always ask my couples before planning an engagement photo session is, “Where did you both meet?” I ask because sometimes taking them back to that specific location will rekindle special memories giving them confidence and tranquility. In the end, the result is more memorable and natural photos. 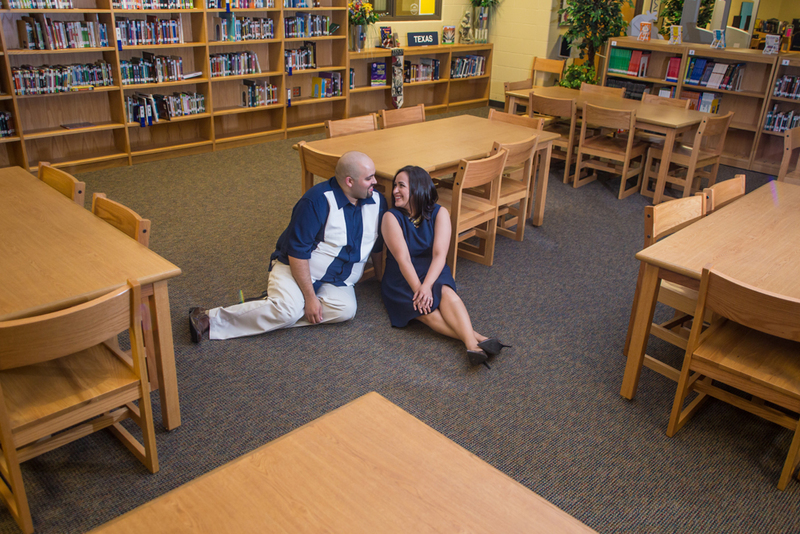 In this photo session Armando and Laura flirted on the school library floor, posed under the infamous school clock (that always reminded us of being five minutes late to class), and ran through the hallways hand-in-hand. 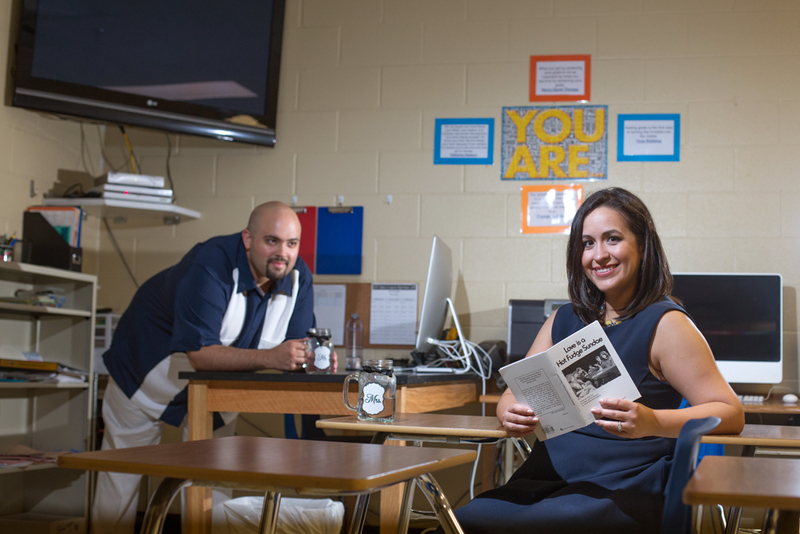 We then we kicked it up a notch and took some more personal/intimate photos in each of their classrooms. I present to you this very special and unique engagement session. This is adorable! So excited for their wedding!